If you have been curious to try out Jirav on your own, now you can! 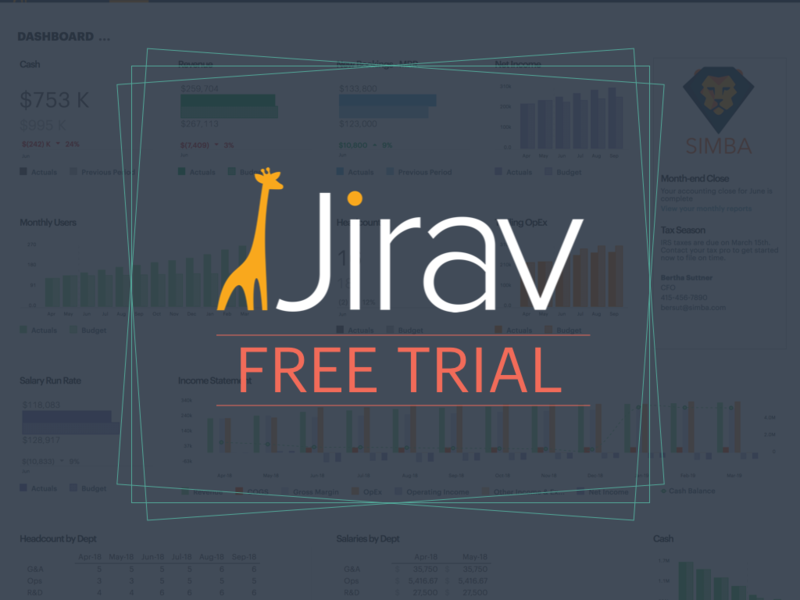 We just opened up free 30 day trials of Jirav Lite (Dashboarding, Reporting, and Goal Setting). Within 15 minutes you will be able connect your accounting actuals (Quickbooks, Xero, Netsuite), build a beautiful dashboard, and have a polished comprehensive reporting package that you can send to your clients right away. Note: Free trials only support Jirav Lite accounts within USA. International support coming soon!